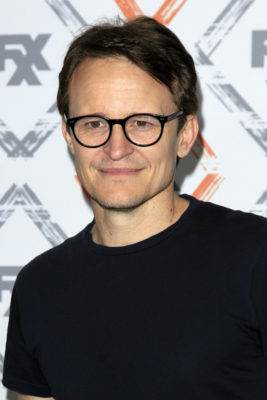 Damon Herriman is pulling double duty. Collider reports the Justified star has joined season two of Netflix’s Mindhunter. From David Fincher, the drama series stars Jonathan Groff and Holt McCallanay as two FBI agents who travel across the country to interview serial killers for the FBI’s new Behavioral Science Unit. The cast also includes Anna Torv, Hannah Gross, Cotter Smith, Stacey Roca, Joe Tuttle, and Alex Morf. On Mindhunter, Herriman will be playing infamous killer Charles Manson, a role he’s already booked to play in Quentin Tarantino’s upcoming film, Once Upon a Time in Hollywood. However, while Herriman is playing Manson in the 1960s for the film, he will be portraying the criminal in the ’80s for season two of Mindhunter. The new season will reportedly explore the Atlanta Child Murders of the late ’70s and early ’80s. Netflix has not yet announced a premiere date for season two of Mindhunter. I will most definitely watch season 2 of Mindhunter and I would really like to see more seasons of this show. I will definitely watch season two. Looking forward to it. I enjoy this show because it is unique and well acted. I am definitely looking forward to watching season two. I really enjoy that this show is unique and well acted.